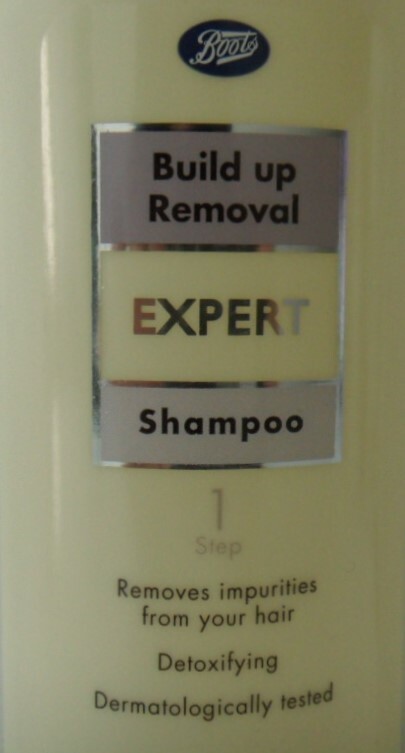 I first hauled this Build Up Removal Shampoo from the Boots Expert Hair Care line at Boots here. I knew next to nothing about this Shampoo but since they were having Buy One Get One Free (BOGO) deal, I decided to give it a try solely based on the name. Little did I know how dependent I’d grow to be on this Shampoo! Generally, I wash my hair with two pumps of shampoo (pump, rinse, pump, rinse) then apply some conditioner to the ends, brush my hair and clip it up, letting the conditioner sink in and doing whatever it does while I move on to washing the rest of my body and such, only rinsing the conditioner as a final step before getting out of the shower. 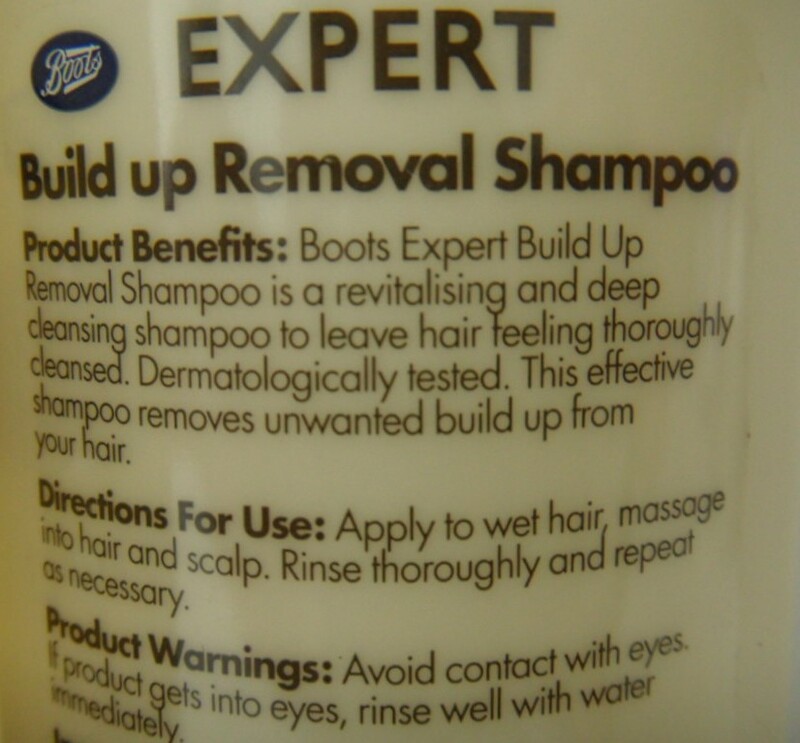 After discovering this Boots Expert Build Up Removal Shampoo, I’ve developed the habit of using it first (first pump) to thoroughly cleanse my hair. After rinsing it out, I’ll use a different Shampoo with a more pleasant scent such as Herbal Essences or Garnier Fructis before rinsing that out and applying a final pump of Conditioner. I just feel like my hair is cleaner that way. I wouldn’t recommend it to people with dry or damaged or even color-treated hair because I feel like this can and will strip your hair of its natural moisture (and possibly the hair dye). I like it because it does precisely that, but then again my preferences aren’t exactly the most… sane “normal”. 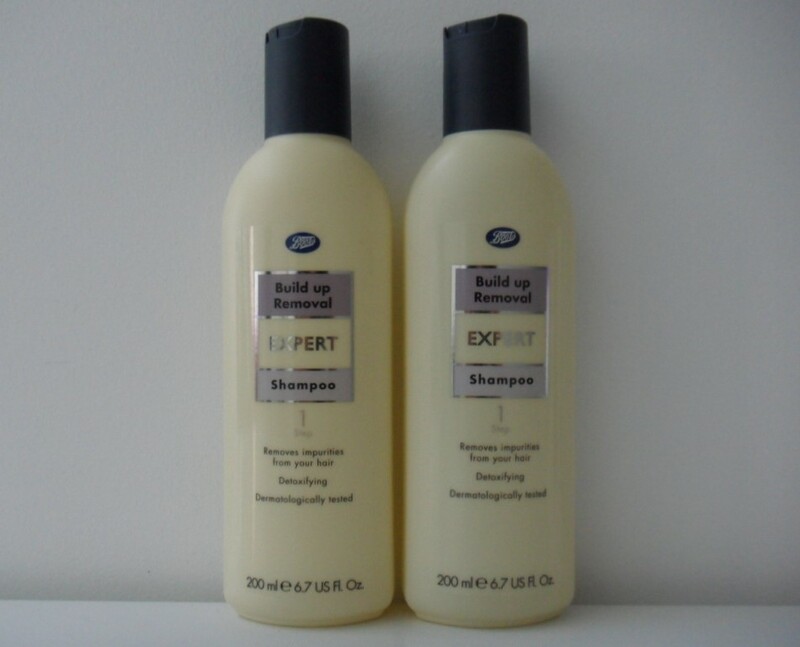 As such, I’ve repurchased the Boots Expert Build Up Removal Shampoo several times in the past and will continue to do so because I personally love it! Regular people might find it more beneficial to use this as a deep cleansing treatment once or twice every other week, whilst sticking with a more gentle shampoo for everyday use. Now that I’ve gone back to swimming at the pool a bit more regularly, I feel like Boots Expert Build Up Removal Shampoo also gets rid of the chlorine from my hair very efficiently. The performance of this Shampoo far outweighs its strange chemical scent, lack of lather and blah packaging! You can no longer get this shampoo, have been using it for years since my hairdresser recommended it. Have tried in several boots and looked on line. Can onyone recommend anything equivalent? Yes, I would recommend the Garnier – Ultra Doux – 5 Plants Vitalizing Shampoo. It might be called Garnier – Ultra Blends – 5 Precious Herbs – Revitalizing Shampoo in your country. Just keep an eye out for the number 5 in the name. Hope this helps! Sorry to say that I don’t live in the U.K. so I have no idea where you might be able to find it locally. Several readers from the UK have also reached out to ask me about this product which leads me to believe that it might have been discontinued, sorry to say. Your best bet is purchasing it online, either from Amazon.com or ebay (beware of counterfeits, knock-offs, and fakes though).